Bake at 350 degrees for about an hour until center has jelled. Top with Butter Rum Sauce. Melt butter and slowly stir in confectioner’s sugar. Add Rum and heat until bubbly. 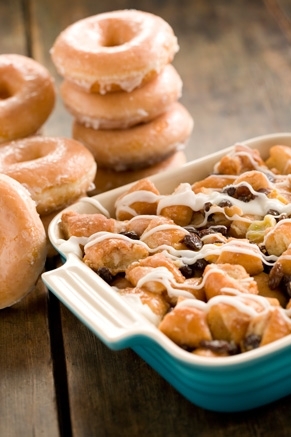 Pour over each serving of Krispy Kreme Bread Pudding.